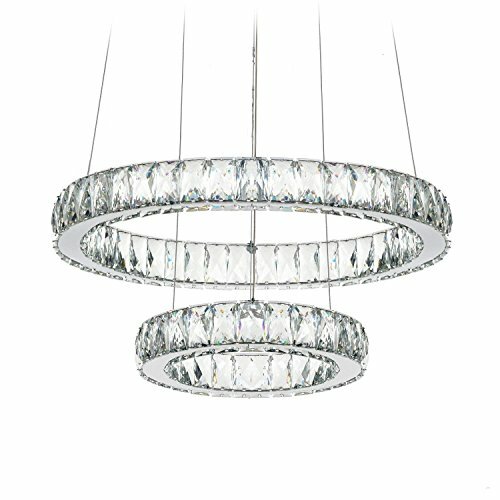 3-YEAR WARRANTY: This chandelier comes with a 3-year warranty on parts and lifetime professional customer service & technical support is on-hand. Feel free to contact us if you have any problem. 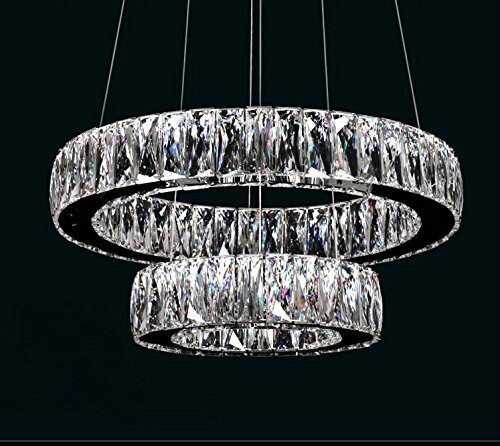 Top K9 crystals and stainless steel design, simple but attractive. 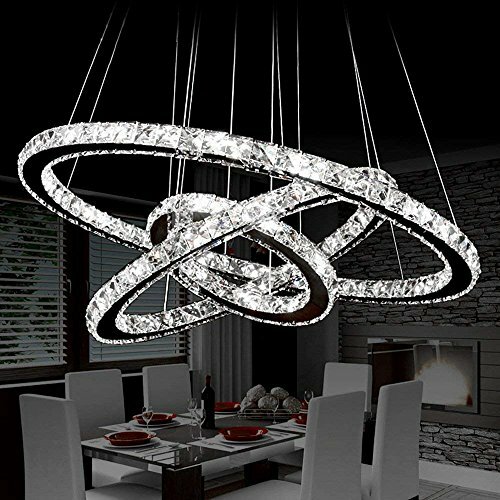 Not only chandelier lighting but also modern decoration for your house. Adjustable stainless steel cables and suitable for both flat and sloping ceiling, more convenient to use according to your preference. 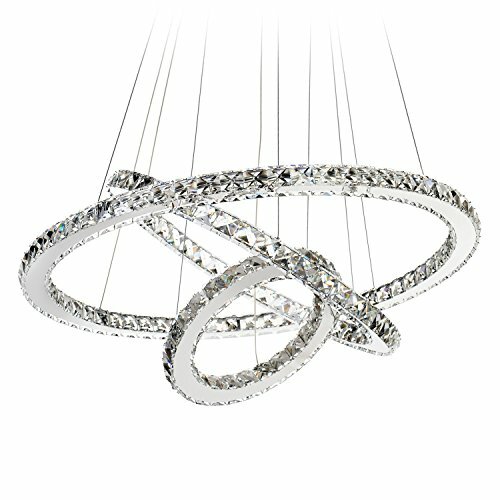 This Pretty Chandelier has already assembled, all you need is just to hang it on your ceiling. Please let us know if you have any questions.Thanks very much. 85-265 Voltage, 56-watt Maximum Power, Lightsource: 2835 LED. Dimmable: No Product Dimensions : 27.6 x 19.7 x 11.8 inches, Height: adjust the stainless steel cable to the desired length from 11.8" to 47.2" Material: Stainless steel, K9 Crystal. Color temperature in Kelvin: 6000K-6500K / Cool white. SUGGESTED SPACE: Dining Room, Living Room, Kitchen, Foyer, Hallway, Bed romg, Entry. 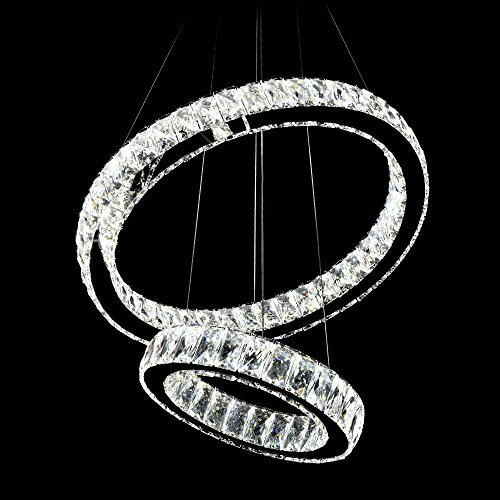 Please check the size of the chandelier before ordering, just to ensure it is suitable for your room.